It’s Spring and a brand New Year! What better way to celebrate the arrival of Spring than with tasty homemade dumplings for the whole family? 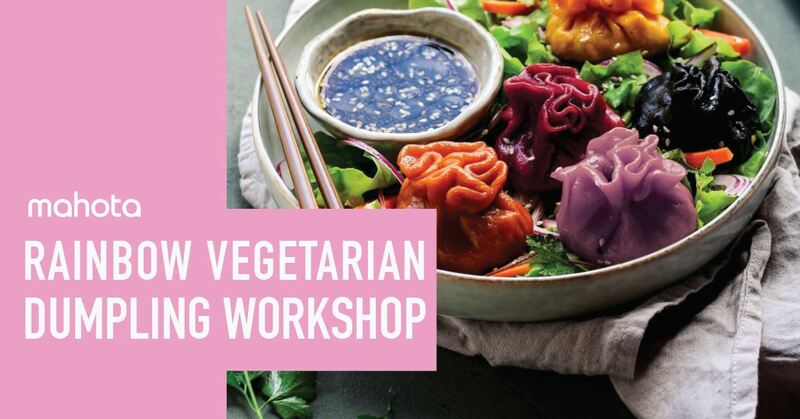 Come learn how to make your own colourful dumpling skins using natural food dyes and easy recipes for healthy vegetarian filling and soup broth at this fun and interactive cooking class. Best of all, understand the importance of using good quality oil and ingredients in our meals for a healthy lifestyle. 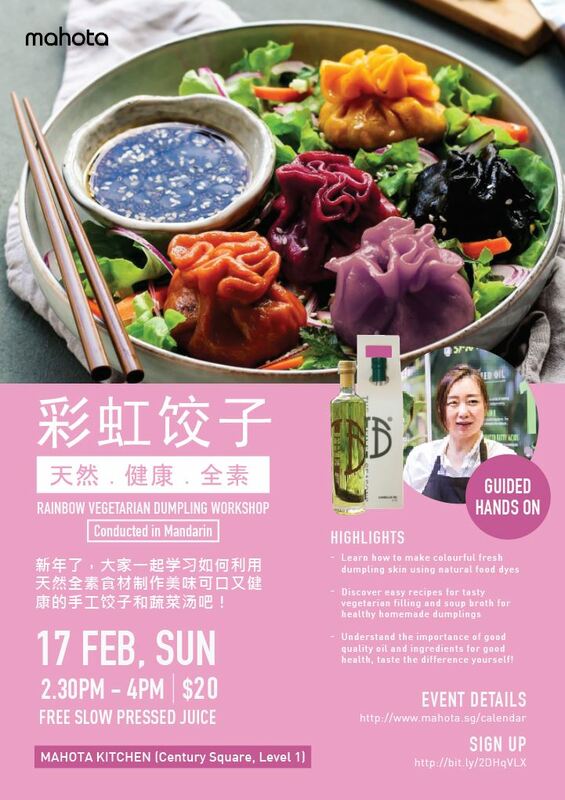 Guided hands-on workshop + complimentary Mahota’s Signature Slow Pressed Fruit & Veggie Juices, what’s not to like? Note: Cooking Class is conducted in Mandarin.